When Calls the Heart is coming back – sans its leading lady! On Wednesday, April 10, the Hallmark Channel announced that When Calls the Heart, which has been on hiatus since March 17, is set to return with two new episodes Sunday, May 5, and Monday, May 6. It will then return to its normal Sunday evening slot. Hallmark made the return announcement on Wednesday, April 10, but it did not include an update on what will happen with Lori Loughlin‘s character. 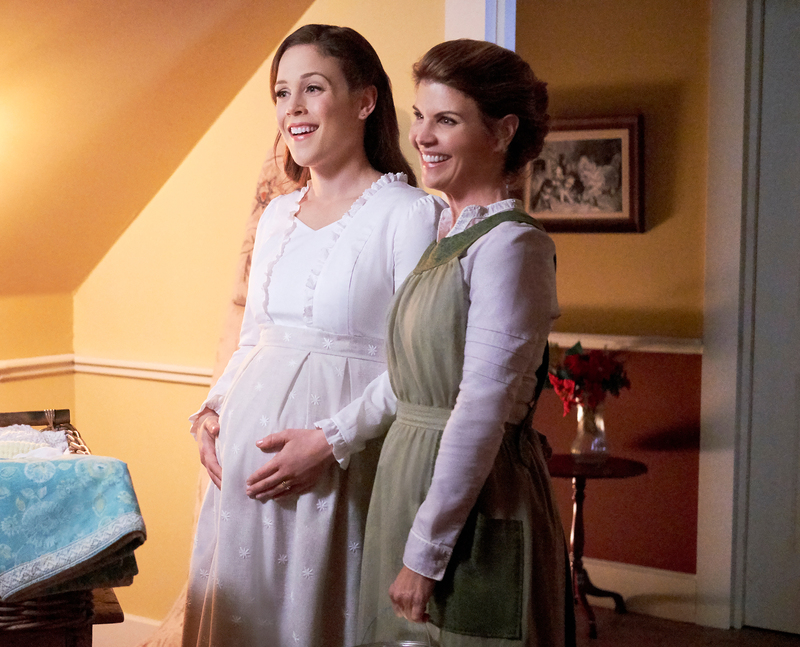 On March 14, Hallmark Channel cut all ties with the Fuller House star, who was a regular on the period drama and appeared in 19 Hallmark movies. “We are saddened by the recent news surrounding the college admissions allegations. We are no longer working with Lori Loughlin and have stopped development of all productions that air on the Crown Media Family Network channels involving Lori Loughlin, including Garage Sale Mysteries, an independent third party production,” Crown Media Family Networks said in a statement. At the time, they also said they were “evaluating all creative options” when it came to the series, in which Loughlin played Abigail Station since its 2014 debut. Loughlin and husband Mossimo Giannulli are facing charges in the college admission scam. They were arrested in March after allegedly paying $500,000 to Rick Singer’s fake charity, in order to get their daughters named as part of the University of Southern California’s crew team – despite neither of them being athletes. At the time of their arrest, they were charged with conspiracy to commit mail and wire fraud. On Tuesday, April 9, the couple, as well as 14 other parents, faced a new charge: money laundering conspiracy. “The second superseding indictment also charges the defendants with conspiring to launder the bribes and other payments in furtherance of the fraud by funneling them through Singer’s purported charity and his for-profit corporation, as well as by transferring money into the United States, from outside the United States, for the purpose of promoting the fraud scheme,” a press release from the Massachusetts State Attorney’s Office said. Loughlin and Giannuilli are facing a maximum sentence of 20 years in federal prison, three years’ probation and a $250,000 fine.